Far Western Anthropological Research Group, Inc. is seeking a Senior archaeologist for any of our four offices. We are constantly looking for high-quality Prehistoric and Historical Archaeologists with an interest and background in California and Great Basin Anthropology. The full-time archaeologist will have the opportunity to lead archaeological investigations, including reporting, fieldwork, and background research and will participate in a wide range of projects in an environment of collaborative scholarship. Far Western is one of the largest cultural resource management firms in the western United States and has a proven track record of doing innovative research within a cultural resource management context. We currently work with clients in the military, transportation, development, and energy sectors. 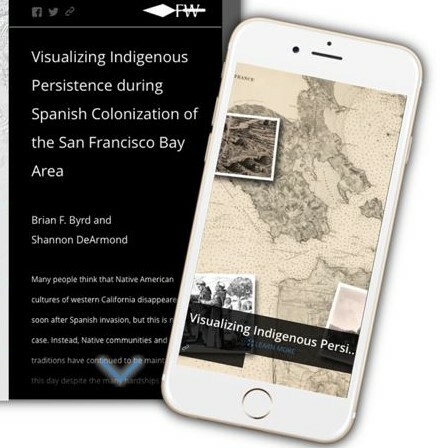 Far Western believes in supporting scholarly research and publication and is an active member in the archaeological academic community of the Western United States. We provide the opportunity and support for our staff to conduct cultural resources management compliance investigations to the highest professional standards based on cumulative research, thus contributing to the evolution of the archaeological record through ongoing projects. Far Western Anthropological Research group has an immediate opening for a full-time Geoarchaeological Specialist in our Davis, California office. Under the supervision of our Senior Geoarchaeologist, this individual will be responsible for gathering, compiling, and analyzing geoarchaeological and archaeological research data. Specific duties will include participation in field projects and lab analyses, preparation of data in graphic, tabular, pictorial, and written form; preliminary analyses of findings; and writing of analytical reports and descriptive summaries. The Geoarchaeological Specialist will also conduct pre-field or post-field research; act as a team member on archaeological surveys and excavations; and help coordinate the work of others in the collecting and analyzing of geoarchaeological data. Qualifications include at least one full year of relevant experience in geoarchaeology or a closely related field(s). A Masters degree in Archaeology/Anthropology or Cultural Resources Management is preferred. A Bachelors degree in a closely related field with substantial relevant experience may be substituted for the Masters degree. The candidate must have a demonstrated ability to schedule and prioritize work, to budget and track small projects, as well as be skilled in standard methods and procedures associated with geoarchaeological studies. The individual must also possess the ability to present and follow oral and written procedures effectively; to work cooperatively and to organize others in accomplishing project goals, effectively communicate with and coordinate the work of others, and conduct independent research. An in-depth knowledge of geoarchaeological principles, field techniques, and an understanding of the cultural resource management regulatory context are also desirable. Far Western routinely hires archaeological technicians on a temporary basis to assist with fieldwork. If you would like to be considered for such work, please email your resume (FW Resume_LASTNAME.doc or .pdf) to jobs@farwestern.com. We have several ongoing monitoring projects for which new positions open up periodically. For these positions, please include MONITOR in the email subject line. Maintain all Personal Protective Equipment (PPE) to OSHA standards. Far Western will provide Safety glasses, safety vest, and hardhat for the duration of the project but it is the employee’s responsibility to immediately notify Far Western of any problems with their PPE. Steel toe or safety toe boots/shoes are the responsibility of the monitor, when necessary.